So many individuals are looking for a quick and easy way to lose weight without dedicating their time to extreme workout sessions or extensive meal planning. There are hundreds of products that are available on the market today that promise to get you in the best shape of your life with very little effort. While some of these weight loss solutions have proven to be successful, there are many out there that do not provide the results that one would expect. Not to mention the many health risks that are involved with the majority of diet pills and supplements that are out there. Read on if you want to learn about weight loss pills that work. It is imperative that consumers understand the great risks that are involved in taking over-the-counter weight loss pills and supplements. This article will discuss what the fat-burning supplement D4 Thermal Shock claims to offer its customers, and the harmful ingredients that are associated with similar weight-loss supplements. D4 Thermal Shock is an over the counter weight loss supplement that was designed to help individuals burn unwanted fat and increase their energy levels. The supposed positive benefits that one would receive from taking this supplement included superior mental focus, increased energy, and better appetite support. Made with a formula containing natural ingredients, D4 Thermal Shock may seem like a completely safe and effective supplement to try, but like so many other weight loss products out there, the product has its fair share of faults. D4 Thermal Shock is a thermogenic weight loss supplement. Thermogenic supplements are supposed to work by increasing the temperature of the body that helps to stimulate its natural metabolic capacity, therefore, causing the user to have more energy and burn more fat over time. However, many customers have mentioned that D4 Thermal Shock and other thermogenic weight loss formulas do not provide the same results that they claim. D4 Thermal Shock contains many natural ingredients that some consumers may perceive as being safe. Some of the ingredients include Amla Fruit Extract, White Willow Bark Extract, Passion Flower Extract, Sclareolide, Evodiamine and Yohimbe Bark Extract. Other ingredients include Caffeine, N-Acetyl-L-Tyrosine, and Octopamine HCI. These stimulant ingredients are meant to work together to trigger the body’s thermogenic process. However, they can also lead to serious health conditions such as hyperglycemia, a rapid heartbeat, and gastrointestinal tract issues. 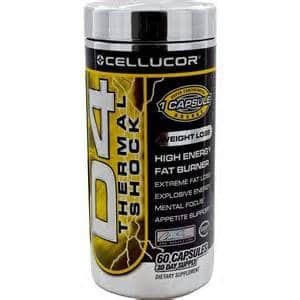 D4 Thermal Shock is a thermogenic dietary supplement that can be purchased over the counter. There are several other brand-name products attainable that contain similar ingredients and promise to provide close results. Other products available like D4 Thermal Shock includes Hydroxycut and Zantrex. D4 Thermal Shock contains a formula that has been designed to maximize energy levels. The combination of Emblic Myrobalan Extract, Octopamine and Caffeine work to jump-start the adrenergic receptors in the body. This is a MOA that is often used by many pharmaceuticals that manufacture weight loss products. 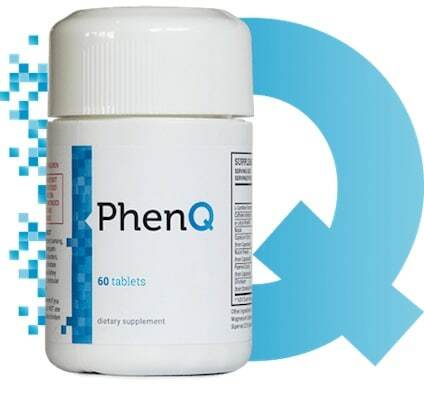 While this formula may help to increase energy levels for some users, it can also over-stimulate the central nervous system and that can lead to a large number of health issues. The manufacturers of D4 Thermal Shock suggest that the dietary supplement be taken up to eight weeks in order for the user to see effective results. An individual is supposed to be able to stop taking the supplement for up to four weeks without gaining back the weight that they lost. Suggested dosage is to take one capsule in the morning, and one in the mid-afternoon. It is said that individuals with a high tolerance to stimulants can take up to two capsules at once, but should always start with just one capsule in order to determine their tolerance level. No one should take more than two D4 Thermal Shock capsules at once and no more than four capsules per day. Taking more than the recommended dosage of this product could result in serious cardiovascular complications, insomnia, and increased blood pressure. Thermogenic supplements are used in bodybuilding, sports nutrition and weight-loss supplements. They claim to work by producing heat that helps to stimulate an individual’s metabolism. By doing so, they can help to increase metabolism and burn off unwanted fat. Many products claim to offer these benefits without diet and exercise, but these two factors are always important when it comes to burning fat. Up until the year 2004 nearly every formula that was found in thermogenic weight loss products contained an ECA stack. This is a combination of ephedrine, caffeine and aspirin. As of February 6th in 2004, the Food and Drug administration put a ban on all supplements that contained ephedra or ephedrine. Several manufacturers could continue making their thermogenic products because they replaced the ECA stack with natural ingredients such as bitter orange or citrus aurantium. While thermogenics such as D4 Thermal Shock are marketed to be effective in helping individuals lose weight, there are many health risks and side effects connected to these supplements. Thermogenics like D4 Thermal Shock, Hydroxycut and Zantrex are stimulants that contain either caffeine or ephedrine. These ingredients are used to suppress the appetite and increase metabolism levels. These supplements have been known to cause serious health issues such as high blood pressure and damage to the central nervous system. Thermogenics have also been known to cause disturbances in the GI tract, the cardiovascular system, and the immune system.